Sophisticated and elegant, this regal ball gown dress 19029 will captivate the attention of all guest. Showcasing a strapless v neckline, this a line silhouette is a flattering choice perfect for any social occasion. 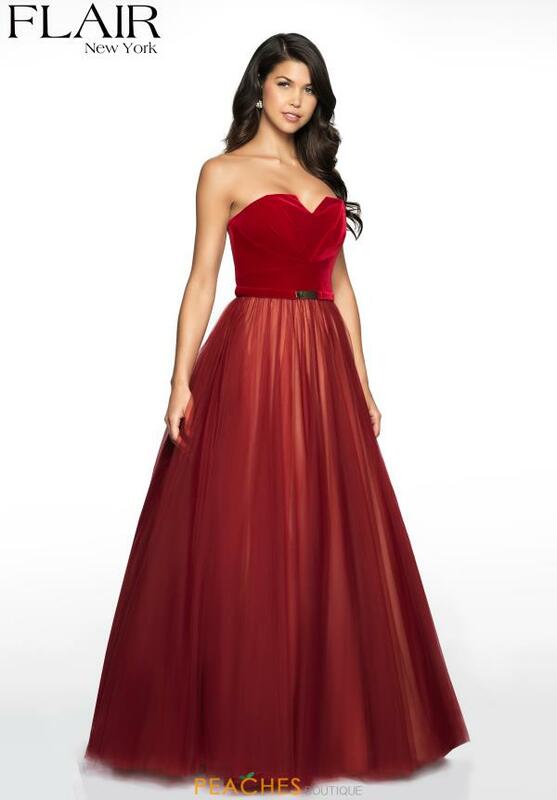 Made in a luxurious velvet fabric the fitted bodice and thin waistline accentuates your figure, while the full tulle skirt flows effortlessly with every step you take.